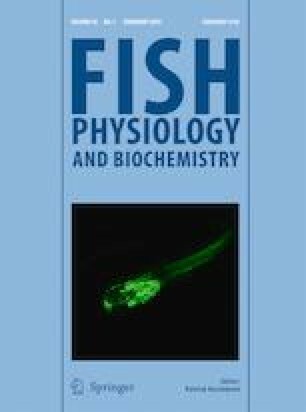 In order to investigate the species-specific heat tolerance of tropical fishes, the thermodynamic properties of muscle tropomyosin, a member of myofibrillar proteins, were compared among milkfish, tilapia, grouper, and mudskipper. The purified tropomyosins were subjected to differential scanning calorimetry and circular dichroism spectrometry. To unveil the relationship between the stability and the amino acid sequences, the muscle tropomyosin genes of the four species were also cloned, and their deduced amino acid sequences were compared. Thermodynamic analysis revealed that the milkfish tropomyosin showed lower refolding ability after thermal denaturation, compared with those of the other species. The amino acid sequences of these tropomyosins were similar to each other, with the identity being in the range of 95–96%. The authors would like to thank Ms. Yui-Han Liu for her help in the experimental work. This study was supported in part by National University of Tainan.